The Duwayne Dunham-directed Disney Channel film Halloweentown is easily one of the most well-loved in the ’90s kid canon. I, being a mid-90s-born baby myself, have received many a gawk when I’ve revealed that I haven’t seen the film despite its repeat airings each October since its premiere nearly 20 years ago. Shock and awe nearly always follow. And though two Halloweens ago I did technically see the film (it was on in the background while I carved a pumpkin, but I was less concerned with a teenage witch and more focused on not stabbing my own palms with a tiny serrated knife), this countdown series here on The Young Folks gave me the perfect chance to finally experience a piece of my childhood I’d been constantly told I was missing. In the spirit of the spooky holiday, here are 66 thoughts (yes, really, that many) I had while watching Halloweentown for the first time. Someone/something lives in that giant jack-o’-lantern, right? Am I right? Maybe my suburban upbringing was just extra bland, but I don’t remember any kids being this hyped up for Halloween, or that many of them roaming the streets. HER FACE IS SO SAD. 13 is practically a grown-up. Them’s the facts. Those back-handed defenses. Drop those friends, Marnie. Marnie’s Unnamed Sibling #2 is a giant drag. If I ever spoke to my mother like that… I don’t even want to think about the consequences. I wouldn’t dare. And Marnie’s mom just takes it. Good Lord. “Trees are important too, ya know!” Also same. Someone’s a little TOO excited about seeing a pentagram. You get As? Yeah, you’re also getting on my nerves. Marnie’s so excited about the possibility of a bedtime story, but was putting her Big Adult Lady foot down and insisting she be treated as an equal to her mother no more than fives minutes ago. Make up your mind. 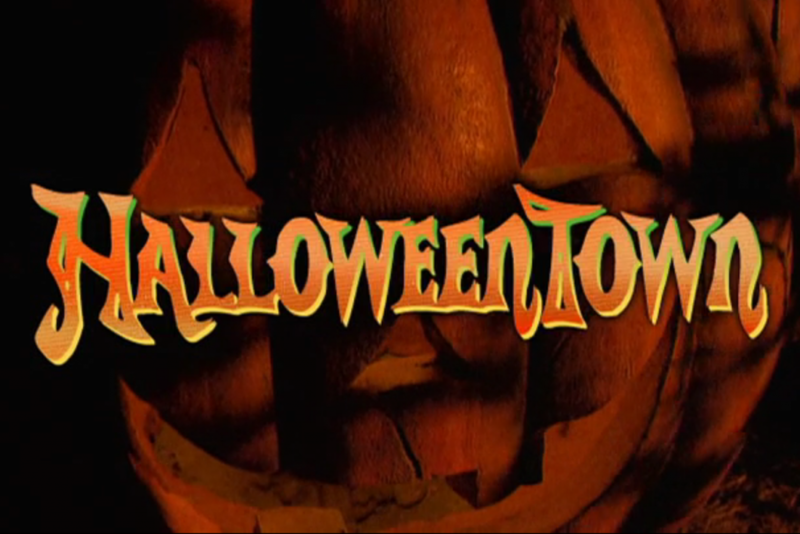 Not going to lie, Halloweentown sounds like a rad utopia. Foreshadowing that it may not always be that way? I love the snarky ’90s comebacks. I don’t know what it says about me that I find her Tupperware lid organization more impressive than the fact Grandma Ghoul (what is her actual name, by the way?) just turned fried chicken into a living, clucking one. And there’s the kicker I predicted. Not everything’s so peachy keen in Halloweentown. Wonder what made Marnie’s mom so adamantly opposed to witchcraft. “I think it proves insanity is hereditary.” Okay, this tiny child is growing on me. Aggie. Her name is Aggie. Halloweentown giving us an accurate depiction of flying Delta. 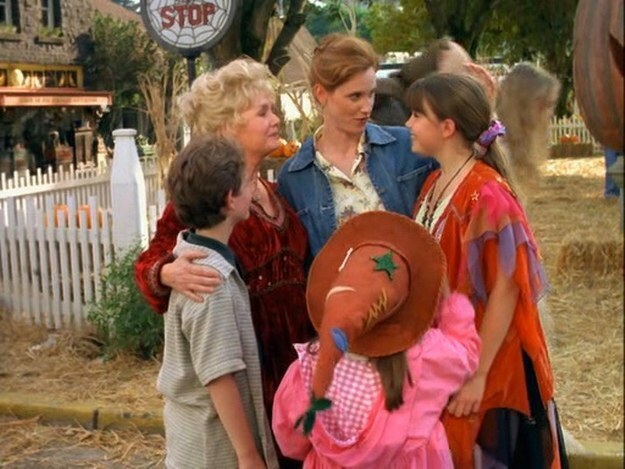 Also, how does no one notice that Marnie and Still Unnamed Sibling #2 are missing from their home/on the actual Halloweentown bus? WHO’S BEHIND THAT CURTAIN? WHAT’S IN THE PUMPKIN? Sophie’s a badass. I love her. Oooh, I’ve heard of Kalabar. I know not to trust him. Yup, I’ve figured out his damage in less than three seconds. The kids are very accepting of everything they’re encountering. Skeleton driving a cab? Okay, cool. Have SOME apprehension, please! I’d be freaked. Never really pegged Marnie for an “abra kadabra” kind of girl. Disappointed. Can I have Sophie’s powers for the exclusive ability to wish sprinkled doughnuts to my kitchen every morning? Don’t tell me this entire film is going to take place in two hours’ “real world” time. Save Halloweentown from the ambiguous dark forces and get back in time before Momma Cromwell has a royal meltdown/full-blown heart attack? Marnie gives me the creeps sometimes. Something about the light in her eyes when speaking of seances. These special effects are wonderfully ‘90s as well. The origin story of Momma Cromwell and her late husband is such a meet-cute story. I kind of love it. Something About Harriet? Kalabar’s totally behind this. The Halloweentown creatures look less like actual creatures and more like enthusiastic Halloween-goers. This broomstick salesman is oddly endearing, though. THE COMEBACKS. I can’t. THE SPECIAL EFFECTS. I also can’t. Marnie’s entirely too sassy for my liking. Like, I get that your mother’s “harshing your vibe,” but at least be respectful. Kalabar and Gwen definitely had a thing. Calling it now: he’s bitter that she fell in love with a human and didn’t end up with him. Scorned lover trope? I’ll passively accept. Luke is so skeevy. And what’s with these tweens copping attitudes with adults? Fifty minutes into the film and Gwen finally admits Marnie’s a witch. “Grandma’s going somewhere with the wiener dude.” WHO APPROVED THAT LINE?! Harriet doesn’t look so good. THESE SPECIAL EFFECTS. I’m so sorry for all the caps and the repeat points, but seriously. They are perfectly awful. 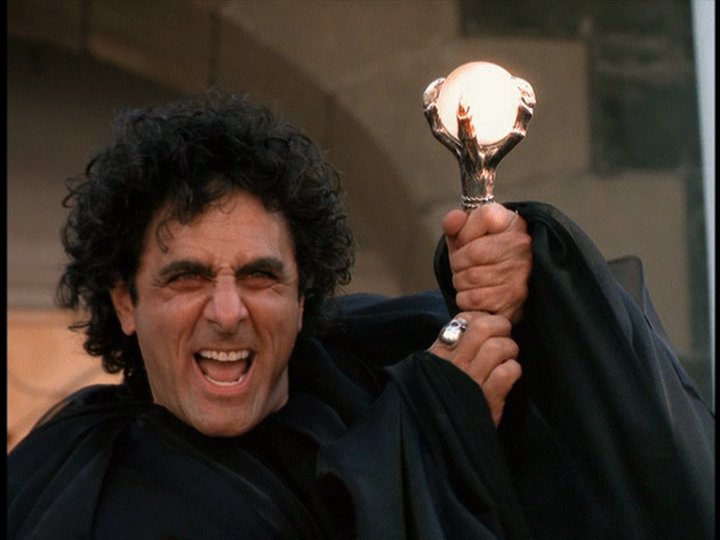 So Kalabar (I’m assuming this goblin-faced villain is Kalabar) is creating an army to fight something? Or is he just collecting creatures and harvesting their powers for his own benefit? Yass, Gwen! Oh no, Gwen! “It’s lit.” It really is, Dylan. The jack-o’-lantern’s the power source!!! Also, where did Marnie get that cloak? Go away, Luke. You really are a twerp. I know the kids aren’t always very kind in the film, but who talks to/looks at a child like that? BB DYLAN HAS POWERS TOO. “Hey, chocolate bar.” Audibly laughed. Luke’s the catfish of the century. But will he and Marnie get together in the sequel? Hmm. The happy ending we all saw coming. Still heartwarming, though. 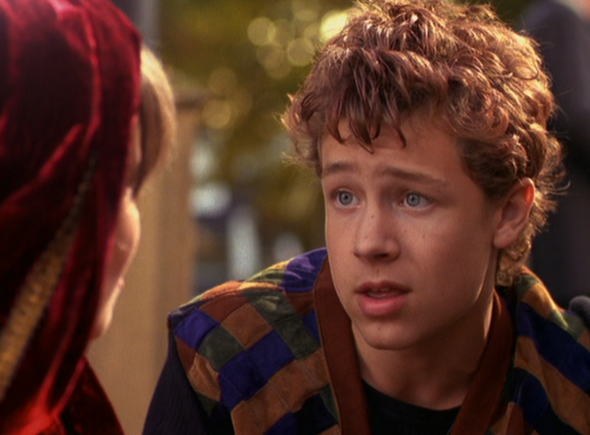 In all, Halloweentown was superbly campy in that classic Disney Channel Original Movie way. Would definitely recommend for a “mindless” watch and/or a mental palette cleanser between gory horrors.